George and I have had an exciting week together rehearsing Travellers’ Tales and performing at The Bike Shed Theatre, Exeter as part of Creative Conversations at the From Devon With Love Festival. It was really interesting to perform our initial ideas for The Ugly Duckling & Other Tales from the Worboys Productions Theatre Farm Retreat and gather some feedback from the audience. 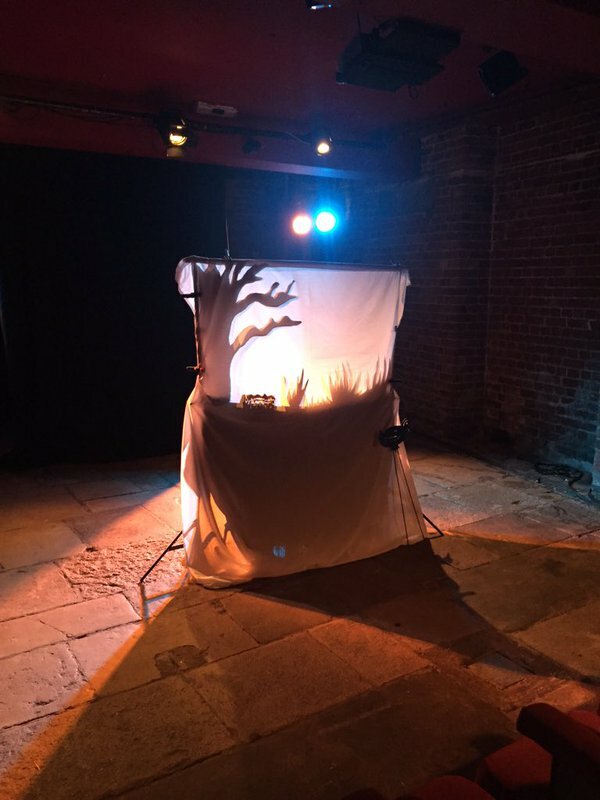 Lots of people enjoyed our shadow puppetry and said that the simplicity of it was particularly enjoyable. This is something we aim to maintain as we move forward with the project, expanding on the frame-work in which the Hans Christian Anderson stories are told. Here is a photo before our Scratch performance. 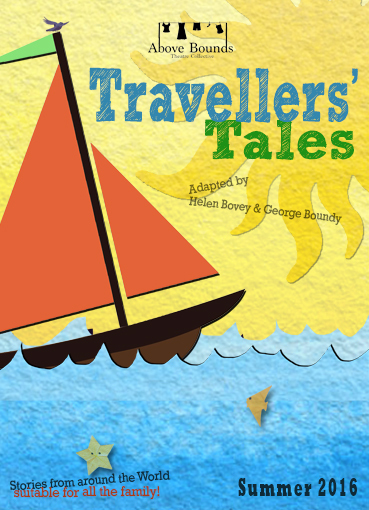 We are also proud to show you all our new poster for Travellers’ Tales designed by Josh at Monobrow Productions. We will be performing our fun, family show at Fringe TheatreFest 2016 and will let you know our venue and date as soon as it is announced. We are currently taking further bookings for Travellers’ Tales, so please do get in contact if you are interested in finding out more.